Green-backyard is launched by GOLBONG, who has been specialize IP video surveillance technology for more than 13 years. 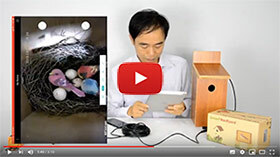 In 2016, GOLBONG developed the first PoE bird box camera in the world. It quickly became one of most successfully project in GOLBONG history.